Episode 6 has brought this series to an outstanding crescendo. This is as good as it gets and then some. 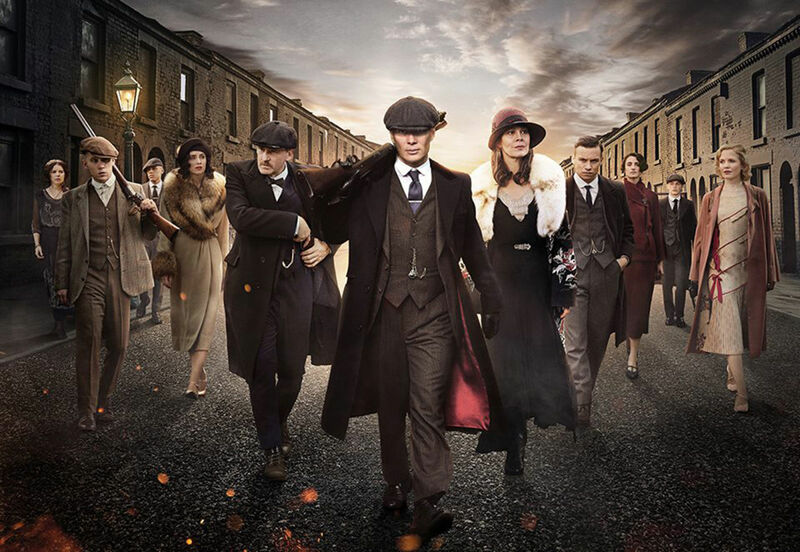 In the last episode of Season 4 of the Peaky Blinders, the long awaited boxing match between Goliath and Aberama’s Bonnie Gold takes place, causing as much thrill as the surrounding drama. After the events of the match, the threat from Luca Changretta (Adrien Brody) comes to a head, forcing the Shelbys onto the Italian-made ropes. The episode packs more than one thrilling punch, seeing Tommy (Cillian Murphy) on the brink of losing everything. It was not just the best season finale the show has given us, but the best episode. The superb script offered up such delicacies as bathroom banter between the Shelby Company Limited women employees, and the always invigorating conversations between Tommy and the wandering and wise prose of Alfie Solomons (Tom Hardy). Anecdotes and monologues that would seem like unrealistic and weightless hogwash on anyone else’s lips but Alfie’s, contrast with Tommy beautifully in his silence and close observation. Tommy is the guy to read the room, Alfie reads it a bedtime story. Steven Knight did well to hold out on bringing in the more familiar audience bad guy for this series. But Peaky has never felt episodic because of the diverse range of unique threats each new villain has posed. Yet he still brought something new with Adrien Brody’s phenomenal portrayal of Mafia boss Luca. The threat he posed was imminent and constant, but when he faced Tommy in the finale he was emotional. His composure in organising his goons through the season dissolved into mean spirited euphoria when on the point of achieving his vengeance. Despite the formality that the title of the episode suggests, ‘The Company’, we see Tommy embracing the idea that his empire can be ruled as he sees fit. The old motto ‘if you can’t beat ‘em, join ‘em’, with all these extraordinary meetings and signatures, didn’t pay off when it came to the higher classes, so he’s now able to define ‘the company’ as he sees fit, and the company he keeps, flirting with both aspects of his life – the gypsy and rustic and the Birmingham resident and businessman. Knight is getting to be more and more like his protagonist as he looks ahead in the timeline of the show. As always with Peaky, as with Thomas Shelby, there is no slowing down. The end of the season only marks a new stage in the life of the company and Shelby family. The dedication and reassurance that Knight will see this series through until the air raid sirens of the Second World War is both comforting and encouraging. Actions have repercussions in the Peaky universe, as with the mafia vendetta that started way back with Lizzie (Natasha O’Keeffe) simply wanting to step out with a “wop”. The characters are all maturing and flourishing, and it is so satisfying to see the developing relationships and character arc progressions that are all equally fascinating to watch on screen, brilliantly acted by actors intimate with these personas. Episode 6 was the complete embodiment of this ideal. All episodes of Peaky Blinders are available to watch on BBC iPlayer now.